Twenty-odd years ago, groups of dispossessed farmers and unemployed youth were resettled on smallholdings in Upper Egypt. Authorities told the new arrivals to go till the desert soil. Plots – sandboxes really – of one to two hectares were duly meted out, the project was declared a resounding success and everybody left the scene, including most of the newly settled families. At the time, Upper Egypt was neither a welcoming nor a promising place. Historically the least developed region of the country, Upper Egypt used to be a place from which people left. Not any longer: Labourers from elsewhere in Egypt are now flocking to the area between Entelak and Tiba to work the fields carved out from the desert. A migratory trickle is on its way to becoming a modest flood. Today, West Noubaria produces significant crops of grains, nuts, fruits and vegetables destined not just for the domestic market but for export as well. Farmers report reaping well over four tonnes of peanuts per harvest from a single hectare of what used to be desert sand. In four years’ time, yields of high-value produce such as oranges, pomegranates and garlic have increased fivefold. Former subsistence farmers are making real money, and spending it: A large new town – replete with markets, shops and restaurants – is being erected next to the Al Yashaa village. The district now boasts good roads, a dependable power grid, clean piped water and a much-improved network of roads that allow cash crops to reach packing plants and markets within hours of being harvested. Among development projects, West Noubaria is a pearl. Budgeted at about $55 million and slated to be completed this year, it is run by the United Nations’ International Fund for Agricultural Development (IFAD). Major financing came by the way of an Italian-backed debt-swap valued at $32 million. 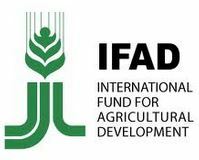 IFAD contributed with $18.5 million. Over the course of a decade, the project lifted over 27,000 families out of poverty. More than a drop on the plate, the West Noubaria Rural Development Project showed a way forward: Its comprehensive and inclusive approach did not just teach farmers how to work the barren land, but also featured a complete economic and social infrastructure package. Schools, training institutes, health clinics, civic centres and public housing projects were built, transforming West Noubaria from a region with a mostly transient population into a true community with a clear sense of purpose. A unique aspect of the West Nourabia project is its successful attempt to link small farmers, such as Mr Rahman, to big business. 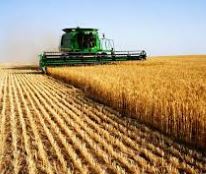 In the past, processing plants and trading companies shied away from small farmers and conducted their business almost exclusively with commercial farms. By organizing and uniting smallholders into marketing associations, the IFAD project managed to entice larger companies into dealing with the West Nourabia producers. The marketing associations’ members receive extensive training in best agricultural practices, organic farming, food technology and basic crop processing. Members also learn about the importance of quality control; essential for gaining access to the coveted long-term supply contracts available from food processors and exporters. “By organizing producers into marketing associations and training them in market requirements, we have enabled small farmers to establish successful business linkages with more than 50 private companies involved either in processing or trading and exporting,” says Abdelhamid Abdouli, IFAD Country Programme Manager for Egypt. IFAD has recently announced the start of a new development project in Upper Egypt, the Promotion of Rural Incomes through Market Enhancement (PRIME) programme. Notwithstanding its rather awkward name, this project aims to disseminate the approach taken in West Nourabia to a much wider segment of the population. By helping smallholders forge enduring links with agribusiness, IFAD hopes to offer some measure of succour to the vast numbers of Egyptian subsistence farmers who mostly toil against the odds.